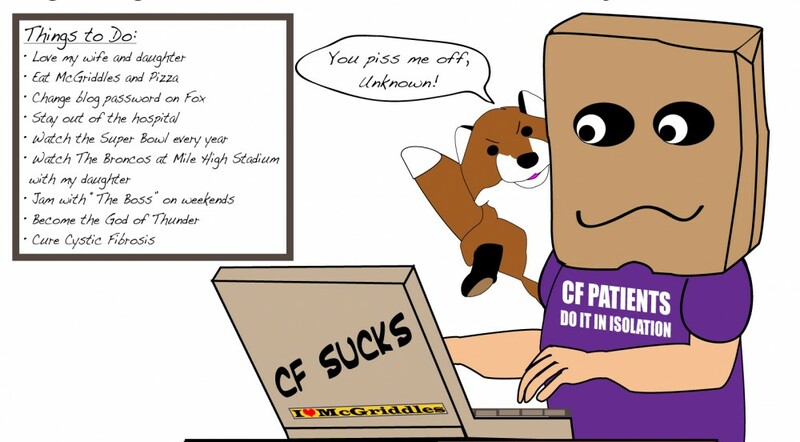 This entry was posted in cystic fibrosis, Fun & Humor, Human Nature and tagged cystic fibrosis, Fun, Rants by unknowncystic. Bookmark the permalink. This reminds me of a (non-American) co-worker I once had years ago when I was far healthier-looking than I am now. If I rode my bike to work, I would sometimes apply makeup in the restroom in front of the mirror (so I could look somewhat professional; I’m by no means a heavy-makeup wearer). Occasionally she would walk in and comment how I didn’t need any makeup and looked fine the way I was (a compliment in lady-speak). Would’ve been nice to stop there. However, on the occasions where I DIDN’T wear any makeup, she would comment how I looked sick and always asked if I was ok. At first I was offended, then after the second time confused, and finally after repeated instances of the same rigamarole (“why are you wearing makeup?” and “you look sick; are you ok?”) I finally put two and two together and realized that she has 1) no concept of appropriate adult social etiquette (she was 35), 2) no idea why or how women wear makeup (to cover up the tired! ), and 3) is quite rude. From then on, I just giggled to with a much older lady coworker when I would profesy that said coworker would make a comment about how I looked sick today. Bottom line: people have no tact or verbal filter anymore. Stop when you’re ahead. Society is failing at teaching this now. As annoying as it is to have Grandma fuss that I’m not wearing pantyhose or wearing sandals before Easter or how I really shouldn’t wear white after Labor Day, it’s the same sort of unsaid social ettiquette that would’ve caused someone’s verbal filter to engage before commenting how awful someone used to look just after giving them a compliment. Wow. Impressive comment. You could have gone into a different science had you wanted to. I see it happens to you too. 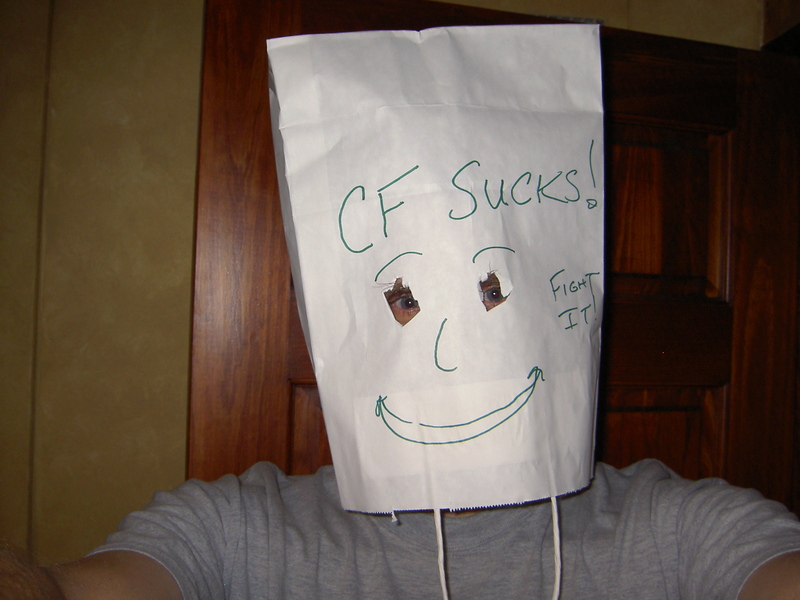 A CF thing? I guess to some degree when someone tell us we look sick, they’re always right. We have a major disease – we’re always sick, it’s just what degree of sickness. Still, I wish the woman in the restroom would shut up. Is it society not teaching it or our dependence on electronic devices and texting that made us lose this skill.